Following up from Calculon’s breakthrough single with Pawn and Christina Tamayo on LA’s SMOG Records, 2013 was a big year for the California native. 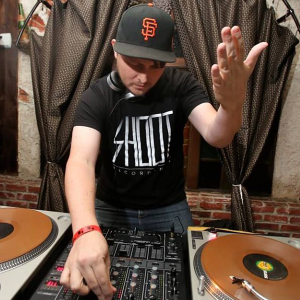 His debut EP was released in January on Loose Squares, the standout label from Chicago, and has garnered heavy DJ support from scene leaders such as Om Unit, Chrissy Murderbot, Fracture, Mark Pritchard, Sinistarr, Stunna, Shiftee, R.A.W. and more. Other releases appeared on labels such as Hot Mom USA, Hyperboloid, Commercial Suicide, Shoot Recordings, Phuzion, and Rubik Records. The last few years have seen this dj perform farther and farther away from home, and 2014 will see Calculon playing new venues across America, Europe, and beyond. His label Rubik Records continues to go from strength to strength, and the newly launched Shoot Recordings imprint is off to a great start. Watch out for releases from Calculon and on his labels soon including the mighty “Larchmont” by Pawn and Calculon accompanied by an Om Unit remix due in February 2014 on Shoot Recordings. Calculon in April I tour in Asia w/ @Dave0wen and reallllllly stoked on that. Bangkok, Shanghai, Seoul, Hong Kong, Dubai…. Apart Can you youtube us one track that we can expect to hear you play in Milwaukee this Friday? Apart Have you played in Milwaukee before? If so where?